While it may seem like a cause for panic, this is more common than you think. Many chiropractors have been burned by Internet marketing consultants who have used aggressive strategies to “game” the Google algorithm and achieve unearned ranking and authority. And unfortunately, these victims have doled out a lot of money only to be expelled from the search engines. Search engine optimization (SEO) is precisely what it sounds like: A strategy to optimize your website for search engines like Google, Yahoo!, and Bing. It’s an integral part of growing your online presence. But it’s also the most abused practice. “Black hat” SEO consists of questionable tactics intended to dupe search engines into granting favorable rankings. They’ve been abused by SEO consultants in the past, and they’re still abused today. They used to work wonders for a website’s ranking authority. But the search engines have wised up, and are now penalizing websites for using these methods. In fact, proper optimization these days is mostly about supplying the information Google wants in the format Google wants it. Overt attempts to fool Google are largely a thing of the past since the algorithm can detect such overtures and ignore them. The result of these attempts is a blacklisted website that has become buried in – or altogether eliminated from – the search engines. A black hat campaign could result in your practice website going from ranking on page 1 to page 10 – literally overnight. 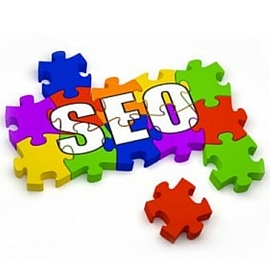 White hat SEO contrasts with black hat SEO in that it uses optimization techniques that target a human audience, rather than a search engine algorithm. The idea isn’t to game the system, but to create an engaging user experience. As a result, Google rewards you. A website that is optimized for search engines, yet focuses on relevancy and user experience, is considered to be optimized using white hat SEO practices. In other words, how many pages does the typical visitor review? How long do they stay on the page? 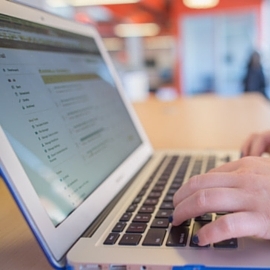 Are they quickly hitting the “back” button after landing on your site? Ranking these days is increasingly based on what visitors actually do when they visit your website. This is what you should focus on achieving. This approach should be implemented by those wanting to make a long-term investment in their chiropractic website. Google penalties are often triggered by unethical backlink strategies. Paying for links is the biggest culprit, as it directly violates Google’s guidelines. If your website has been penalized, it may seem like it’s lost in eternity. Sure, it is a massive burden on your digital reach. But there is a process to get your website back on the right track. If your website only has a handful of bad links, the cleanup won’t be so difficult. If there are hundreds (or even thousands) – which is often the case – it will be a more intensive process. If the damage is too severe, you may need to start fresh with a new domain name. So you’ve cleaned up your website. What’s next? Always be mindful of SEO guidelines and create quality content that is geared toward prospective patients. This means hiring a website service that only uses white hat practices. If a company guarantees rankings in a short period of time, run for the door. This is a red flag that’ll likely result in another SEO do-over. Ultimately, what this means is today’s SEO takes time. It’s an ongoing process that involves incremental changes – along with a little bit of waiting. This isn’t for the faint hearted or impatient. Which is why we look for partners, not clients. 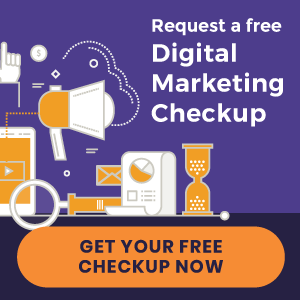 Learn more about Perfect Patients’ SEO philosophy and what we do to determine chiropractic SEO success. Also, download our free eBook, “10 Ways to Get New Patients From the Internet,” below for easy-to-implement strategies to improve your online presence.